We are still counting the number of pillowcases that have been sent around the world for Project 9‘s ConKerr Cancer effort. It is the best kind of work to have — putting numbers to such generosity and love. You, the people that have created this outpouring of help all over the world? (We have just passed 1,400!) You are amazing. Ah-maz-ing. It is all too easy to get swept away in the negativity we hear every day. Don’t. Take a look back at all of the projects, all of the numbers, the photos and testimonials and reports from just this year and let it fill your hearts. There is so much good in this world and adding to it is quite possibly one of the best feelings ever. It is true, though. Every time we wrap up a project, we are quite convinced that our band of Craft Hope readers and makers has gained just as much as the recipients. That’s a pretty powerful thing. We dig it. We are going to take a different approach with Project 10. As the holidays will be quickly upon us and our making will turn to gifting and celebrating and cooking and gathering, we are going to take a break from the ‘assigned project,’ and encourage you all to mix it up a bit. 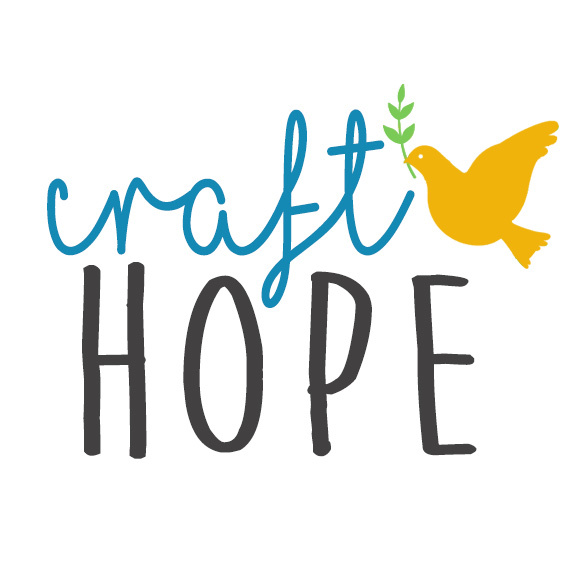 Remember that little book, Craft Hope: Handmade Crafts for a Cause? It is chock-filled with great projects and worthy organizations. If you bought a book or won a book or know someone who has one, please take a closer look. Maybe you want to make a sock monkey. Or a patchwork scarf. Or a newborn cap. Maybe you want to try your hand at a tug toy for a local animal shelter or finally tackle embroidery. It’s up to you. We encourage you to take the last few weeks of 2010 and pick something you love from the Craft Hope book. Get a group of friends together and knit for an evening. Challenge your blog readers or a group at church or school. Get your kids involved. Have fun with it. Let’s make the deadline December 31, just in case you have a few extra minutes before the New Year.